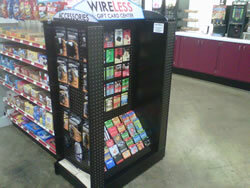 SPC Display Group has the necessary experience to help convenience store customers with store fixtures and POP displays that maximize product visibility, and impact customers in a big way, while in a small footprint. We also focus on designing merchandising solutions for this market that are modular, and flexible, to allow for quick and easy changes, and repurposing. 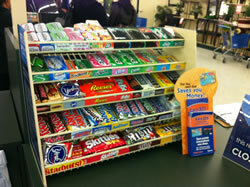 Invite the SPC design team to help you with candy, beverage, magazine and newspaper racks; shelving solutions; gift card displays; sign holders; hand baskets and cooler displays. And, of course, we provide standard front fences; peg hooks; clip strips; and dump bins and baskets. Visit our portfolio to see a few examples of the many completed fixtures and displays we’ve built for convenience store customers.